You never know when disaster can strike; a virus, a power outage, or personal mistakes can lead to deletion of necessary files. It’s always a good thing to protect your files. You never know when disaster can strike; a virus, a power outage, or personal mistakes can lead to deletion of necessary files. So, when you’ve got them all backed up, you can rest assured that everything will stay perfectly safe, even when something terrible happens to your computer. You can always replace a computer or download new programs, but files such as pictures, videos, and similar personal content can’t be replaced. Read on to figure out how you can backup the files on your computer safely and efficiently. How will you provide disaster recovery for your business’s most critical data, applications, and systems? If you’re working with a disk-to-disk backup system, this can present many problems. Although reliable, disk-to-disk disaster recovery requires 2x the amount of data in order to meet disaster recovery objectives. Additionally, if a second copy need be acquired, a second backup appliance would need to be purchased. Let’s go over how new disaster recovery technology is making way for Cloud implementation to ease your headaches, time wasted, and money spent. When disaster strikes, your business may be in danger from recovering. Invest in disaster recovery and never worry. It is common practice to insure your most valuable possessions, your home or apartment, and you vehicles. It is important to make sure that which is important to your is protected. If taking these steps is commonplace for what’s important to you, why not protect your business? It is estimated that 75% of all small businesses will experience some sort of disaster, whether caused by nature, human error, or some other type of event, and a quarter of these businesses never reopen following them. A big reason is that critical and unrecoverable information has been lost. These are some signs that investing in disaster preparedness is crucial for the cyber security of your business. Let’s learn more about why you should invest in disaster recovery. Last week we helped you make the data backup plan for your company. However, while you’ve come up with a plan of what needs to be backed up monthly, daily, weekly, and ever single time it’s edited, you haven’t figured out how best to back it up. When it comes to the different types of data backups, it can get really confusing. That’s why, this week, Working Nets has a guide to the different types of data backups available, and brief overviews of their advantages and disadvantages. The recent cyber attack at Sony Pictures Entertainment, which stole data and then wiped software and data from company computers, is just the most recent reminder of the importance of having a data backup plan. Although Sony is a large company, it didn’t have sufficient backups for its data. It will take a lot of time and money to put everything back together, if even it can be. Don’t let this happen to you. Be prepared with Working Nets guide to making a plan for data backup. Begin by prioritizing the importance of your data. Some data, might not even warrant being backed up. Other information, like databases of critical data, should have multiple redundant backup systems, that go back for multiple backup periods. Determining the importance of your data, and what needs backing up and what does not, is entirely up to you. Part of Sony’s current problem is with restoring its data. They aren’t sure how far back the data backups might be corrupted, so newer corrupted backups are dangerous to use. This is an extreme example, as most businesses aren’t likely to be the targets of such extensive cyber attacks, but does prove a point. Depending on the importance of the data, you might want to keep older back ups- just in case you are hacked and you can determine that newer backups might be compromised as well. How Often, and When, Should it be Backed Up? How often and when you should backup your data is largely dependent on how important it is, and how often it is edited. Your most important data should be backed up every time a significant edit is made. Lower priority data can probably be backed up weekly or monthly, depending on the frequency and importance of edits. If they’re data bases that might change entirely over the course of the day should be updated daily. Others might need their updates over the course of the day, or a month. You should also consider entire system back ups weekly. If your system’s run on the weekend, this can be set to be done automatically at odd hours, so it doesn’t affect business too much. What type of Backup will You Use? Another important consideration of your plan for data backup is what type of backup you will use. The type of backup media you will use depends on several factors, the capacity, reliability, speed, and cost. The capacity is how much the back up medium can store. The reliability is how consistent and effective the medium is at meeting its own specifications. The speed is how fast the medium can backup and recover data. And finally the cost you need to consider is how much money your business will have to spend to buy and maintain this backup solution. You will need to make the choice of what backup system you want to use based on a balance of those four factors. Need help figuring out a plan for data backup and recovery? Working Nets assures that we can keep your vital business data is kept secure if disaster strikes. We have knowledgeable experts on staff who can make sure that your IT needs are covered and that all of your information is safe. To talk to someone about data backup and recovery for your small business, give us a call at (443) 992-7394. We’d be happy to assist you with your professional business networking needs. What is Disaster Recovery and How Can it Benefit Small Businesses? Consider all of the things that you use your computer for in your small business. If you’re reading this from your work computer right now, that’s one thing down – you use it for research. You probably type up documents. If you work in accounting you might have important financial information saved to your hard drive. You may even have personal information saved on your computer. What would happen if your hard drive were to crash or something were to happen to your computer? That’s where disaster recovery comes in. What exactly is disaster recovery? Disaster recovery starts with backup. The first thing you want to do to avoid losing information is to make sure that you safely back up all of your important information to a cloud type system or external hard drive. The more places that you have the information backed up, the more likely you are to be able to get a hold of it if anything happens to your actual computer. After you’ve backed everything up, you should talk to an experienced IT company that can help you figure out a disaster recovery plan in the event that something important doesn’t get backed up. A competent IT support company will be able to talk to you about what your disaster recovery options are and how to get the data back that you lost in the event that your computer is infected with malware, spyware, or succumbs to outside forces. How can disaster recovery benefit a small Baltimore business? Finding an IT company that specializes in disaster recovery means you have to worry about it less yourself. We can set up your computer to automatically back information up. When you do important work on the computer, you need to know that there’s a way to save that important work if something happens to your computer. Not only can we help you with disaster recovery, but we can also do everything to prevent utilizing the disaster recovery from becoming necessary. We know how to protect your computer, hardware, and software from outside sources. Hackers with malware and spyware will have a hard time getting to your hard drive and causing any damage at all; that’s not to say that disaster recovery isn’t necessary. You should still have a backup plan in case something ever does happen. Outsourcing your IT to a company that has experience with disaster recovery and computer related issues will enable you to have your problems solved quickly and efficiently and help protect you from most computer related problems that arise. To get started with disaster recovery for your Baltimore small business, please contact Working Nets by calling (443) 992-7394 or visit WorkingNets.com today for more information! Welcome to Working Nets – your virtual IT Department! You never know when disaster is going to strike. If you’ve ever had a computer crash and haven’t had your work backed up to an external source, you know the crushing feeling of losing a lot of information. Backing up your data can save you from losing important information and give you a way to retrieve documents from a secondary source. The importance of backing up your data can’t be overstated, but how can you do it? You can back your data up in a vast array of ways. It’s also important to consider what data really needs to be backed up so you’re not overloading your backup device. There are a ton of options out there for backing up your data. Cloud computing is quickly becoming one of the most popular backup options among companies because it has so many perks (even outside of data backup). 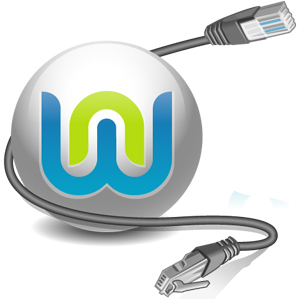 You can access the information from the Cloud anywhere with an internet connection. It’s incredibly convenient and can save you a ton of money in the long run. You can also opt to get an external hard drive, flash drive, or CD/DVD, all of which will allow you to back things up. The nice part about these is that they’re fairly secure and you can take them anywhere, no internet required. The drawback is that they’re also susceptible to disaster. First thing’s first: it’s important to have 3 copies of everything, just in case one of your backups fails. Make sure that you use two of the options above, preferably one from each category. You’ll want to back up anything that’s really important to you personally or to your business. Downloaded content can usually be re-downloaded in the event of an accident. Anything that is vital to your personal or business records should be backed up, and often. Financial statements, client documents, and anything you need to run your business are all important. Remember, this is disaster recovery. How often should you back things up? This really depends on what you’re backing up and how often you create new documents. For companies, it’s best to back your data up every day. You don’t want anything to put you behind or lose information on vital projects. Anytime you add something important to your computer, you should make a point to back it up. Otherwise, if you only create every so often, you should back up about once a week. If you have a lot of information to back up and need to know the best way for your company, you should get in contact with professionals who have a lot of experience in the IT field! At Working Nets in Baltimore, we support your business by providing top-notch Information Technology (I.T.) services to companies like yours: Companies that don’t need full-time I.T. services, but do need someone to turn to, when they are having a problem. We provide services like Network Design, Monitoring and Maintenance. We troubleshoot technical issues when they arise, and give you options for solving them. We help you use your technology investment to achieve your business goals. If you have any questions about disaster recovery and data backup, please contact us at 443.992.7394 or visit our website! Odds are that your business relies on technology in one form or another, whether it is invoicing, record keeping, accounting, or any one of the numerous other technologically-driven business tasks out there. So with so much of your company’s future success relying on computers, how often do you backup your data? Astonishingly, only 25% of computer users regularly backup their data! Of companies that experience a major loss of business data, only 6% survive, 51% close within 2 years, and 43% never recover. So let me ask you again…how often do you backup your business data? Where do you backup your data to? Where do you keep the backup media files? When you suffer data loss, you want to get your business back up and running as quickly as possible. And to ensure this happens, you must have a redundant disaster recovery system in place. The more redundant your systems, the less you will suffer. Software: If you utilize specific software and other applications to run your business, be sure you have copies stored offsite. Passwords: Be sure to have your passwords stored in a secure location offsite. After all, what good is restoring your data if you cannot access it? Alerts: If it is possible, have alerts setup to notify you when your critical systems are down. Document Everything: Be sure to document step-by-step instructions to get your computers back up and running. This needs to include your restore procedures (how to get the backup software and media, and any documentation needed to operate that software and media), any vendor information (account numbers and system credentials), and a list of the software you use. For a full Disaster Recovery Planning worksheet, visit WorkingNets.com or click here. If you have any questions about Disaster Recover and Backups, please contact Working Nets by calling (443) 992-7394 or visit WorkingNets.com today! At Working Nets, we support your business by providing top-notch Information Technology (I.T.) services to companies like yours: Companies that don’t need full-time I.T. services, but do need someone to turn to, when they are having a problem. We provide services like Network Design, Monitoring and Maintenance. We troubleshoot technical issues when they arise, and give you options for solving them. We help you use your technology investment to achieve your business goals. Running a small business can mean a lot of information is in one system or on one computer. Accidents and problems can occur no matter how many precautions you take. Storms can still hit too hard with surge protectors, a storm can wipe out an entire infrastructure, and hackers get better and better everyday. You may find yourself needing disaster recovery. At Working Nets, we provide you with the best possible prevention to these problems, but we also acknowledge that sometimes things just happen. This is why we also offer backup services. It’s good to know what kind of data backup is available and why it is helpful. Local data backups – A local backup is one that is stored on a device that you can physically hold. Usually people use discs, flash drives, or external hard drives to back up their work. The benefit to this is that you have the backups on hand and can use them anywhere whether or not you have Internet connection. The downside to a local backup is that if a natural disaster destroys your data and your local backup is in the same location as that data, you’re going to lose all of it anyway. Offsite data backups – This one essentially speaks for itself. Offsite backup has a big advantage over a local backup. It can be accessed from anywhere and won’t be destroyed in the event of a natural disaster. Offsite backups are becoming more and more popular as the Internet continues to grow and expand. People are using the different websites and programs that are emerging to ensure that their data does not disappear. One worry with an offsite backup is security. It is essential to know that your data is being put in a safe place, especially if it concerns business or finances. Whether you’re running a business or are just a student with a lot of information stored on your computer, making data backups can save you a lot of trouble and headache in the long run. At Working Nets, we were founded to provide small businesses, like yours, with expert information technology support they needed. Our disaster recovery services help ensure your vital business data is kept safe and secure! If you have any questions about Disaster Recovery, please contact Working Nets by calling (443) 992-7394 or visit WorkingNets.com today! You can also follow us on Facebook, Twitter, LinkedIn, and Google+.